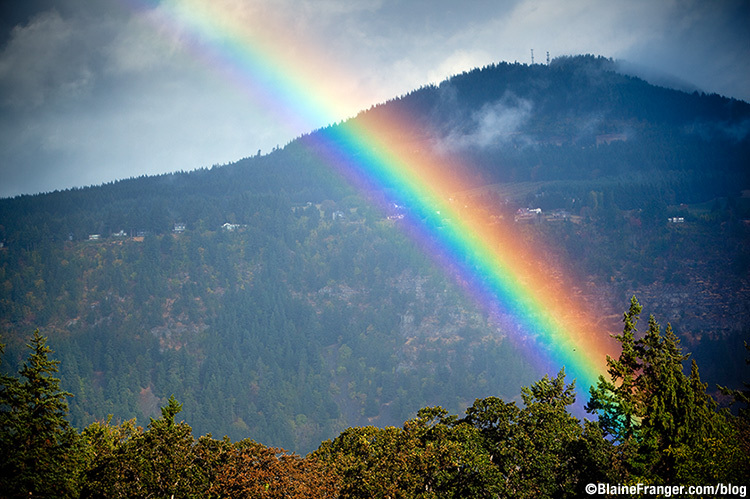 The Blaine Franger Photography Blog: Mt Underwood and Rainbows... from our deck! A couple photos I wanted to quickly post from these beautiful rainbows that have been happening right off the back of our deck... I can't stop shooting them! 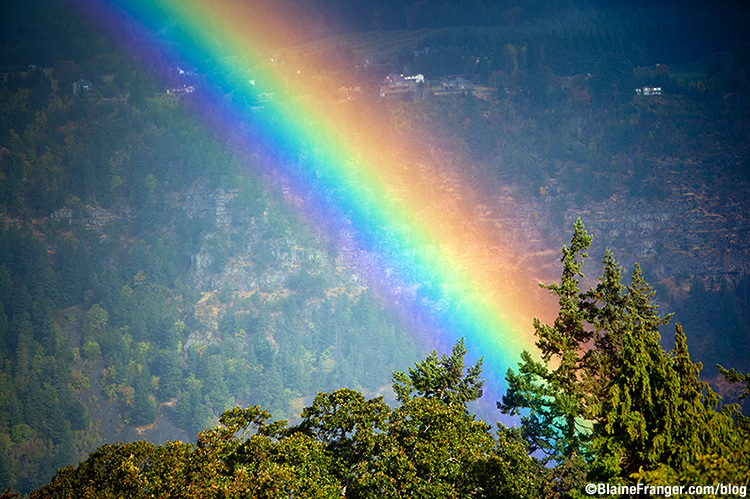 If you're not familiar with our area... this is looking North from the Westside of Hood River. The trees you see in the foreground are just behind our house (in Oregon) and the land behind is Mt. Underwood in Washington. The mighty Columbia River separates the two states, which is unfortunately just out of our sight... if it was visible, our house would be a lot more valuable with a river view! I like how big your images are on your blog... when you upload an image were you able to change something that made your default image size larger? Or did you just make you content column larger and then change each images size in the html code?